Prof. Jaime Cerdá is Professor of Chemical and Industrial Engineering at Universidad Nacional del Litoral (UNL), and Superior Researcher at the Argentine National Scientific and Technical Research Council (CONICET). He received his Ph. D. in Chemical Engineering from Carnegie-Mellon University in 1980, his M.S. in Chemical Engineering from Carnegie-Mellon University in 1979, and his B.S. in Chemical Engineering from Universidad Nacional del Litoral at Argentina in 1968. He is a former Industrial Engineering Department Head of the School of Chemical Engineering at UNL. He held Visiting Professor positions at Universidad de Valladolid, Spain (2006), Carnegie-Mellon University (1982, 1995), Universidad Católica del Norte at Antofagasta, Chile (1995) and Universidad de Barcelona at Spain (1987). Prof. Cerdá joined Universidad Nacional del Litoral (UNL) in 1968 working as a Research Associate in the Institute of Technological Development for the Chemical Industry (INTEC). After getting his PhD from Carnegie-Mellon University, he returned to UNL to teach ChE graduate and undergraduate courses at the School of Chemical Engineering and supervise PhD research projects at INTEC. His research contributions have been in the areas of planning and scheduling of batch and continuous processes, energy integration, process synthesis, supply chain operational management, oil pipeline planning and scheduling, dynamic vehicle routing and pickup & delivery problems. His teaching interests include courses on Optimization, Production Management and Process Design. 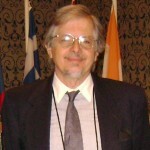 He is member of editorial board of Computers and Chemical Engineering, and Associate Editor of Brazilian Journal of Chemical Engineering. He developed consulting activities on energy saving, debottlenecking of continuous processes and planning & scheduling of manufacturing facilities for major industrial firms like PASA Petroquímica Argentina, Yacimientos Petrolíferos Fiscales (YPF), Petroquímica General Mosconi (PGM), ATANOR, PETROSUR, MONSANTO Argentina, ARCOR-Arroyito, ARCOR-Colonia Caroya, Establecimientos FRIAR S.A. and SOMISA.